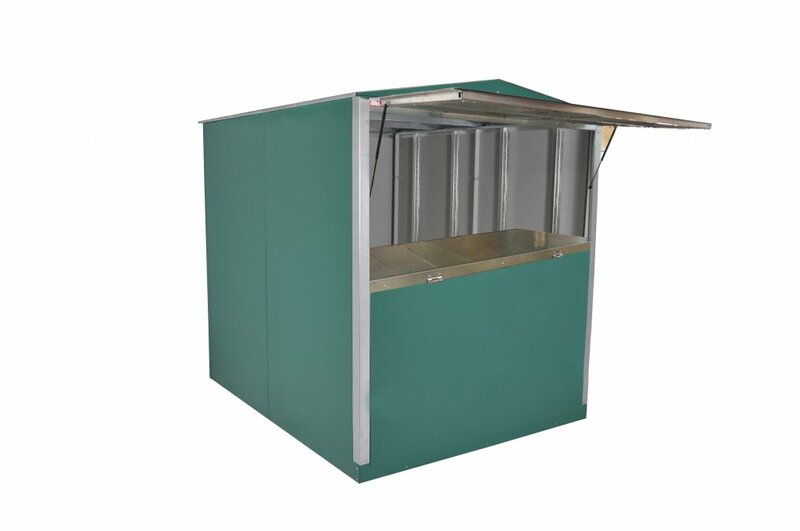 Add a canopy door service window to your container to open up additional possibilities. More and more, we are getting requests for mobile “pop up” style containers that can be used to sell a product, offer a service, or provide information. A service window in our container allows for all of these applications, as well as giving you both security and mobility. These units can be mounted on a trailer, or provided with a heavy duty base that can be slid onto a standard car hauler or tow truck bed. The canopy door is held open with gas springs similar to those used in automobile hatch backs. The door will be available on the Standard Container, the Modular 96, and Modular 75.